Association members needing more information on this cost saving program can contact Ms. Linda Pace, Account Executive at Anthem at 804-354-2457 or [email protected]. The National White Collar Crime Center (NW3C) provides training in computer and financial crime, and intelligence analysis; informative webinars and specialty courses; investigative support; public database searches and analytical services at no cost to state and local law enforcement. Membership is free. To complete the NEW! online application for your department and take full advantage of these services, go to http://www.nw3c.org/membership/apply. 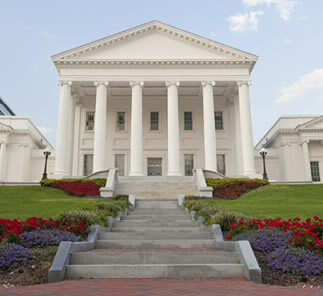 The Virginia Sheriffs’ Association entered into an agreement with Justice Benefits, Inc. (“JBI”) in an effort to assist sheriffs in obtaining federal money for the operation of their jail and other sheriff’s office-related activities. JBI specializes in federal revenue maximization for state and local political entities. With the objective of helping local justice departments access little known federal funding opportunities, JBI was founded in 1997. JBI’s headquarters is located in Dallas, Texas. The federal government will reimburse a percentage of local dollars spent for services currently being provided by various county or state offices. Few agencies have the resources to research all of the reimbursement opportunities. JBI will provide you with the expertise, technology, and manpower to access federal funding opportunities. In addition, JBI contracts its service on a “no risk” contingency fee basis; i.e., JBI is paid only after the claims have been reimbursed to the city, county or state by the federal government. Our federal revenue maximization is accomplished through identifying the federal funding opportunities, applying governmental cost accounting practices, and employing our proprietary software programs to maximize the dollars for your claim. It is important to note that your county or state is already spending its monies and providing these reimbursable services. JBI’s role is to document the cost of the reimbursable services and recover the federal dollars due to your city, county or state. JBI has successfully worked with many state and local political entities to find and develop Federal reimbursement claims. We have developed software that will compute the claims, identify and capture all missing data, and apply appropriate code costs for allowable or non-allowable items. JBI has developed documentation and uses federally approved forms to complete all claims. JBI has developed an exceptionally specialized staff that completes the various unique tasks and difficult components of accessing federal funding opportunities. Consequently, JBI is very effective at assisting counties and cities recover Federal reimbursement dollars. We currently serve over 600 clients.